If you missed any of the news this week, take the time to get caught up. Read on to find out more about Full Tilt Poker's latest statement on player cash outs, whether or not Senator Kyl has changed his tune on Internet gambling, and more. Thursday night, FTPDoug, a Full Tilt Poker representative, started a thread on the Internet Poker forum on TwoPlusTwo answering some frequently asked questions by players. Obviously, the biggest question on U.S. players' minds is when they can begin cashing out their accounts. We're sorry to report, we don't really have an answer. FTPDoug wrote, "Here's the official statement about this question: 'Full Tilt Poker is diligently working on return of US Players funds which is a top priority and will have a further update for US customers by early next week.'" He also addressed the procedure of assessing the value in U.S. players' accounts such as tournament tickets, cash-game tickets, FTP points, etc., and plenty of other questions that have been compiled over the last few weeks. There are also questions answered on the Full Tilt Poker FAQ page. Could we be seeing a change of heart from a long-time opponent of Internet gambling and online poker? 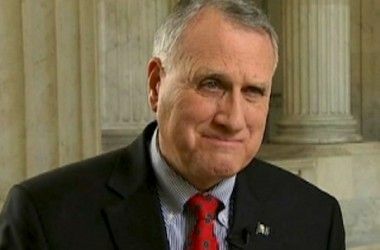 According to the website of Arizona Senator Jon Kyl, he might be up to considering Internet gambling and online poker in the future. "Efforts to carve out an exception for games like poker, which many believe is a game of skill, may be considered later this year. Until I have the chance to review them, I cannot make a judgment about their merits; but I will consider them carefully as long as they leave in place the broader proscriptions against online betting." See it for yourself at Kyl.Senate.gov. About a month ago, we told you about the announcement of the PokerStars European Poker Tour Champion of Champions event. We told you how a player got invited to the event, and when it would be played, but there were no confirmations of players who would attend - until now. According to the PokerStars Blog, more than 40 previous champions have confirmed that they will be attending the event in Madrid. Liv Boeree, Arnaud Mattern, Bertrand "ElkY" Grospellier, Roland de Wolfe, and Carter Phillips are among those confirmed. There are still plenty of players who haven't though, including Jason Mercier, Noah Boeken, and Patrik Antonius. There is €100,000 worth of EPT season-eight buy-ins awaiting the top four finishers, with first place taking home a €50,000 EPT Season 8 Passport. You can find out who else is confirmed at the PokerStars Blog. 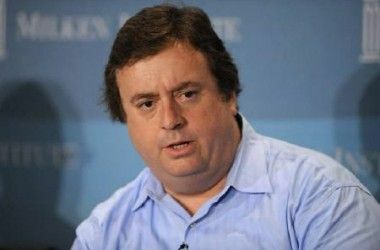 On Tuesday, CNN Money ran a piece contributed by Caesars Entertainment CEO and President Gary Loveman. In it, Loveman says that instead of wondering whether there will be online poker, the question that should be asked is "Should we seize the moment to legalize online poker, permit a safe and legitimate industry in the U.S., and bring those jobs and revenues home?" "Unequivocally, the answer is yes," he wrote. He went on to discuss how to regulate it, saying, "State level legislation will not adequately address the problems that currently exist," and, "Only federal legislation can clear up the current ambiguities in U.S. law and crack down on other online gambling like sports betting and casino games." "In short, this bill should recognize the reality of the world we live in, protect the interests of law-abiding citizens who want to play a little poker from the privacy of their homes, create thousands of new jobs, and produce millions of dollars in new economic activity. And it should acknowledge that as a game of skill, poker deserves to be treated differently than other forms of gambling," he wrote. He closed out the piece with this: "One day, we'll look back at 2011 and laugh at the folly of a ban on Internet poker — just like we now think about Prohibition. The sooner that day comes, the better." If you want to read the entire article, you can head on over to Money.CNN.com. According to the Sports Business Journal, PBR executive chair Jeffrey Pollack is leaving the organization and has "stepped down from its board." According to Tripp Mickle of SBJ, Pollack is leaving to focus on the Federated Sports + Gaming pro poker league. If you've got a subscription to SBJ, you can read the entire article. Pollack later confirmed this through his Twitter account, tweeting, "@SBJSBD has it right, as usual. It was an honor to work with @teampbr this past year, but time to focus 100% on Federated with @annieduke." Rumor has it that both Sportsbook.com and PlayersOnly.com will cease accepting new U.S. players as of May 1. This decision comes on the heels of online poker's "Big Three" indictments by the U.S. Department of Justice. It is said that as of May 1, new players from the U.S. will not be able to sign up for accounts on the two sites, but existing U.S. players will be able to play, deposit, and withdraw on the sites. This isn't just for the poker sites, but also for their sportsbooks and casinos. Read more about the two sites' decision to quit accepting U.S. players. In an uncertain time for U.S. sponsored pros, one has locked in a sponsorship deal again - at least until the next contract negotiations. Bodog Team Pro Evelyn Ng announced via Twitter that she has renewed her sponsorship agreement with Bodog. While Ng tweeted she was in San Remo, she was not in the Day 1a field of the European Poker Tour stop. Perhaps we'll see her in the Day 1b field, so be sure to follow the updates from the PokerNews Live Reporting Team for all the action from the felt. Streaming final tables live isn't new. Neither is streaming them live with hole cards, but that seems to be all the rage these days. PokerStars is stepping it up one notch, however. 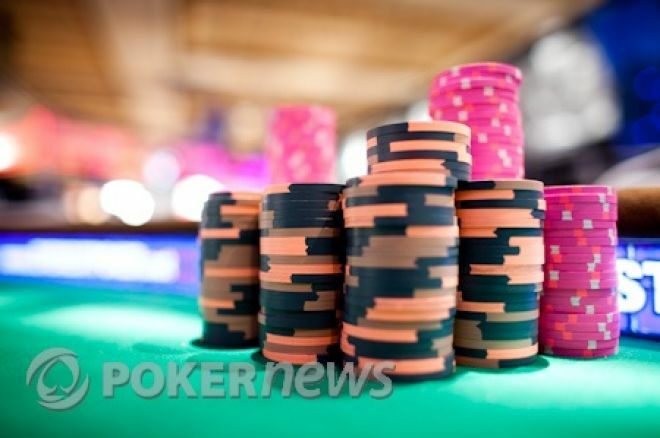 It was recently announced that PokerStars would be streaming the European Poker Tour Grand Final Final Table live with hole cards on a bevy of television channels across Europe, as well as on PokerStars.tv. “We are pleased to be part of this major step forward in poker broadcasting in Europe. It’s significant in that it means many people will be able to watch the action from so many countries, further positioning the Gran Casino Madrid as one of the leading centres of poker in Europe," Marketing Director of the Casino Gran Madrid Alfredo Alvarez Jardón said. The stream, which will be delayed two hours, will begin at 1400 CEST (0500 PDT) on May 12. "PokerStars has always been a leader in terms of innovation, and once again they are giving fans and viewers a new kind of experience they are sure to love. Broadcasting hole cards shown on TV in over half a dozen stations across Europe, puts the EPT's premiere event on par with other major live sporting events taking place in the continent this month," said Team PokerStars Pro Daniel Negreanu. Until then, you can check out video updates from EPT San Remo and the upcoming Grand Final on PokerStars.tv. Like us on Facebook, and follow us on Twitter for up-to-the-minute news. Black Friday: Who's to Blame?